The new ThOR LT thermal scope series from ATN is built with quality and affordability in mind. The streamlined design of the scope looks more like a traditional glass optic, which provides the ability to use standard and readily available 30mm rings. With one shot zero, simply move the zero reticle to your first point of impact and you won’t need to burn through a box of ammo to get sighted in. 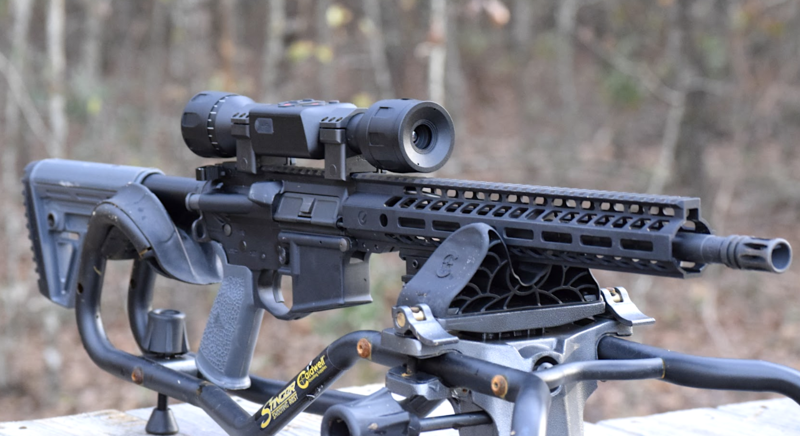 Designed for close range target acquisition, this thermal scope is perfect for hog eradication and hunting smaller game with a crossbow, rimfire rifle or air gun. The ThOR LT is made from hardened aluminum alloy and built to withstand the pressures of high caliber weapons, yet light enough to maneuver easily with lighter weapons. The internal battery of the ThOR LT provides 10 hours of operation, enough to stretch every minute out of each hunt without the bulk of an external battery pack. With an MSRP starting at $1,199, the ATN ThOR LT series of scopes is an affordable option for those looking to break into the thermal arena.